Experience the highlights of Quebec City on a sightseeing tour with a friendly, knowledgeable guide. 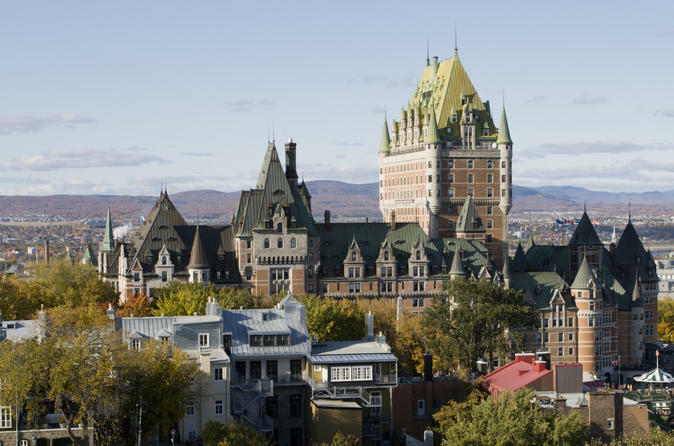 Soak up the French charm of Old Quebec and be enchanted by the old-world atmosphere and stunning beauty of sites such as Place Royal, the Plains of Abraham and Place d'Armes. During your 2-hour coach tour, you'll be shown numerous historical treasures on the banks of the St Lawrence River, giving you a great overview of this amazing city. 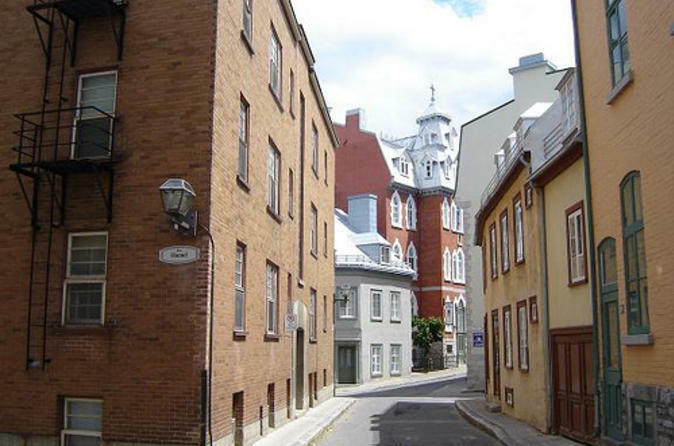 Experience the period charm of Old Quebec on a two-hour guided walking tour of this historic city's many highlights. This leisurely paced, downhill walking tour is ideal for all visitors to Quebec City; families, individual travelers and small groups. 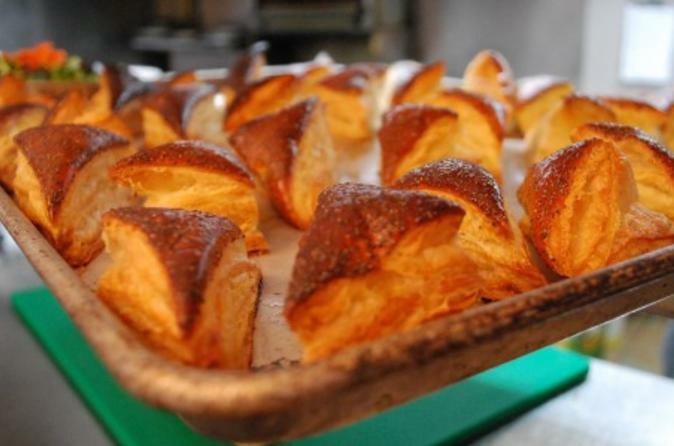 Taste French food at its finest on this flavorful, small-group walking tour of Quebec City. Eat like a true local as your in-the-know guide takes you to neighborhood gems in the districts of Old Quebec, a UNESCO World Heritage site, and St-Jean-Baptiste, a neighborhood with colorful, bohemian flair. Indulge in a variety of palate-pleasing regional specialties, including wine, beer, chocolates, syrup, crepes and savory tidbits that will not only keep you fueled throughout the tour, but also will give you a real taste of Quebec City. 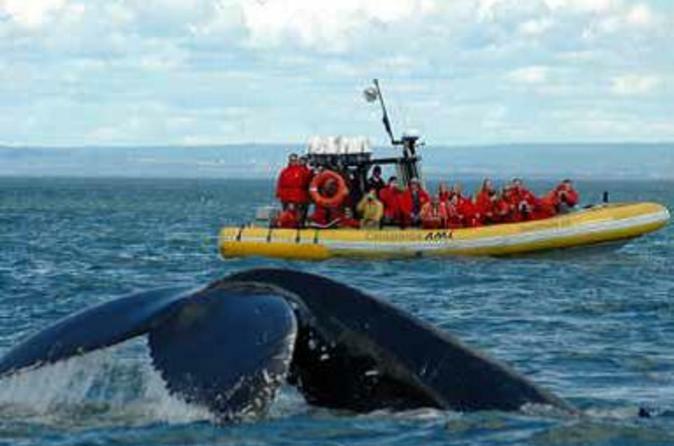 While you’re in Quebec City, don’t miss a chance to see some of Canada’s best wildlife on a whale-watching cruise! You’ll travel to Baie-Sainte-Catherine by road and then board either a large, three-level observation boat or a small, open-air zodiac boat for an exciting escapade to look for whales, belugas, seals and other marine life. 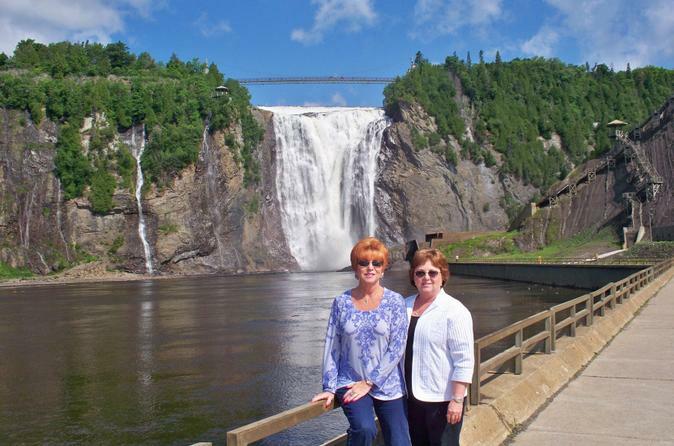 The fabulous scenery is just a bonus on this adventurous day trip from Quebec City. See the city, the river and their history from a whole new angle on a Quebec City Historic Discoverers Cruise. Follow in the wake of a legendary explorer and discover for yourself the attractions of Old Quebec and the surrounding countryside aboard the AML Louis Jolliet or similar. 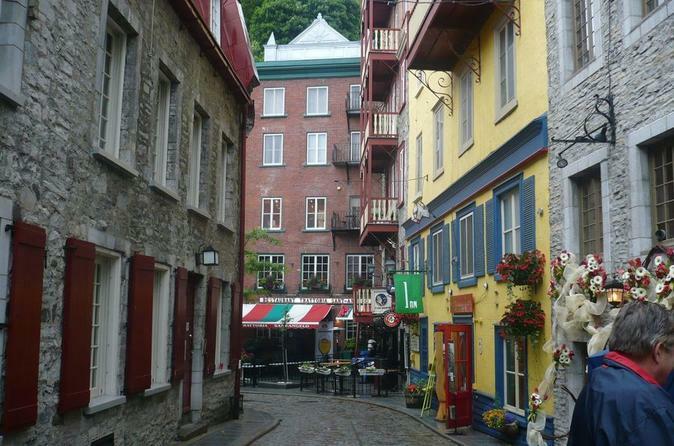 One of the best ways to experience all of the charming sites of Quebec City is by foot. On this 2.5-hour private walking tour, visit Place d’Hôtel de Ville, City Hall, Place Royale, the famous Chateau Frontenac hotel and more. You can customize the tour to your interests, and your knowledgable local guide will provide interesting and informative commentary on all the sights you see. 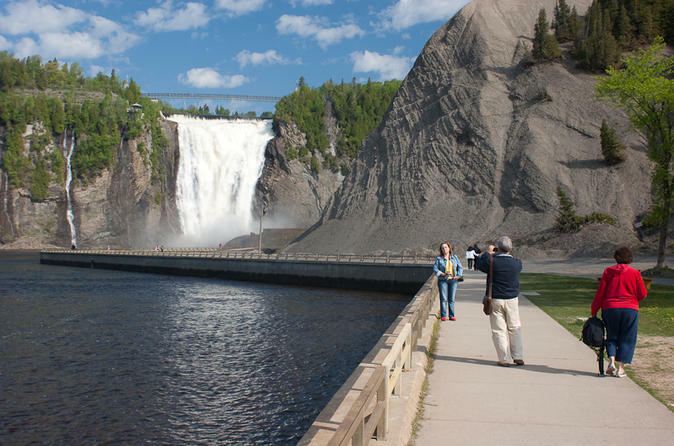 While you’re in port in Quebec City, explore its beautiful surrounding countryside on a half-day sightseeing tour to magnificent Montmorency Falls (higher than Niagara Falls!) and the pilgrimage shrine of Ste-Anne-de-Beaupré. This scenic shore excursion allows you to see Quebec's spectacular natural beauty and visit interesting sites along the way. 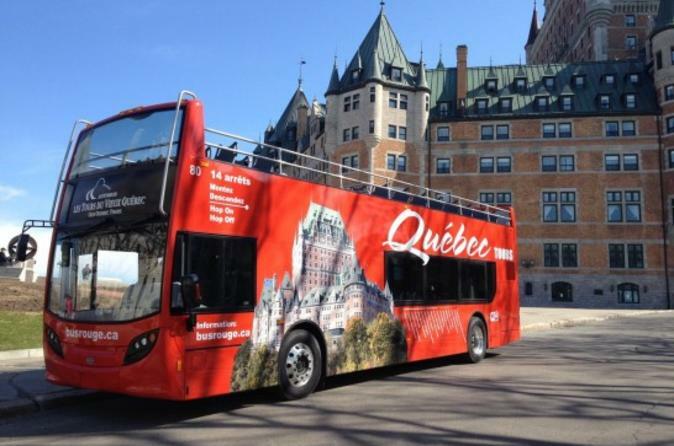 Quebec City’s most noteworthy sights are all mapped out for you to explore at your own pace with this hop-on hop-off bus tour. Enjoy great views and informative commentary as you travel on a London-style double-decker bus, hopping off to sightsee independently in the only remaining walled city in North America. 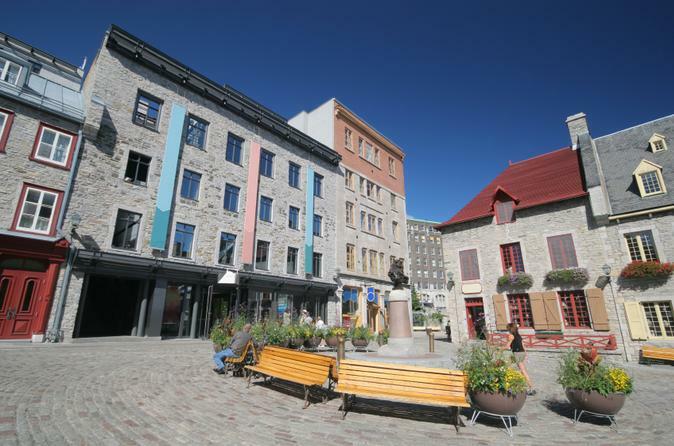 Visit top attractions like Place Royale, Old Port and the Citadel of Québec; check out the pubs on rue Cartier; and stroll through the revitalized Saint-Roch. 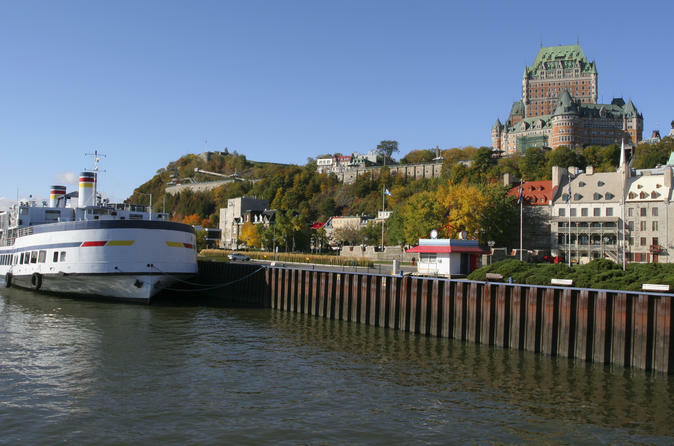 Make the most of your time while in port in Quebec City with this 2-hour shore excursion. Soak up the French atmosphere of Old Quebec and visit several historical treasures along the St Lawrence River. You'll be enchanted by the old-world charm and stunning beauty of sites such as Place Royal, the Plains of Abraham and Place d'Armes, and your friendly guide will offer interesting commentary along the way. This is an easy, comfortable way to see the city while in port! 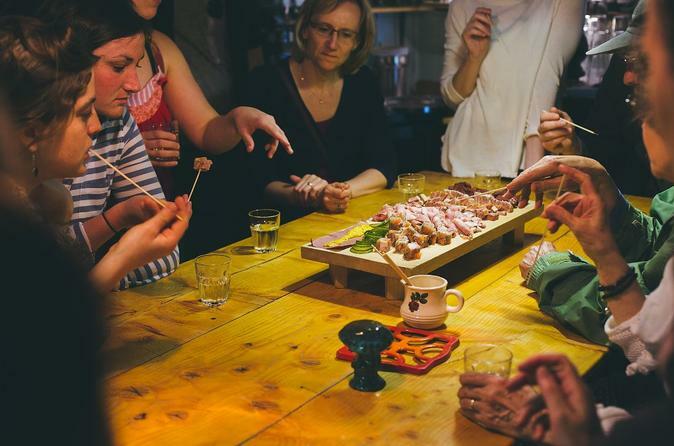 Find out what makes Quebec City’s St-Roch neighborhood the culinary hot spot that it is on this 3-hour food tour. Adjacent to Old Quebec, St-Roch is the perfect area for a foodie walking tour, with a variety of restaurants, shops, bars, local culture and even a microbrewery. With a knowledgeable guide, you’ll travel along bustling St-Joseph Street to visit six establishments for tastings of cheese, meats, soup, wine, and beer that add up to a small meal. 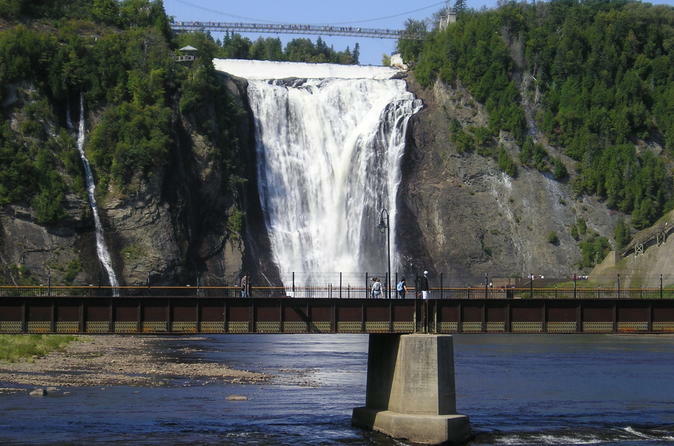 Don’t pass up the chance to see lofty Montmorency Falls on this 4-hour bike tour from Old Quebec. A cable-car ride to the top gives you prime views of the roaring water. You'll also cycle to Domaine de Maizerets, a luxurious estate that was turned into a city park, and spot windsurfers at Beauport Bay against the scenic backdrop of Île d’Orléans. 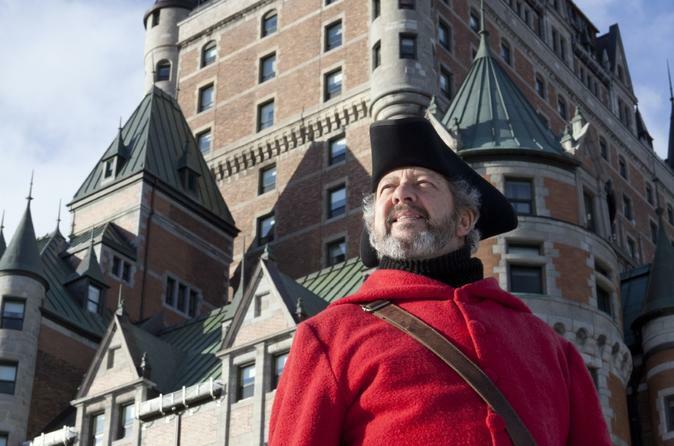 Along the way, an informative guide shares the history of Quebec City. This small-group tour capped at 15 people is sure to please riders of all levels. Experience the period charm of Old Quebec on a two-hour guided shore excursion of this historic city's many highlights. It’s a wonderful way to spend your time in port in Quebec City. 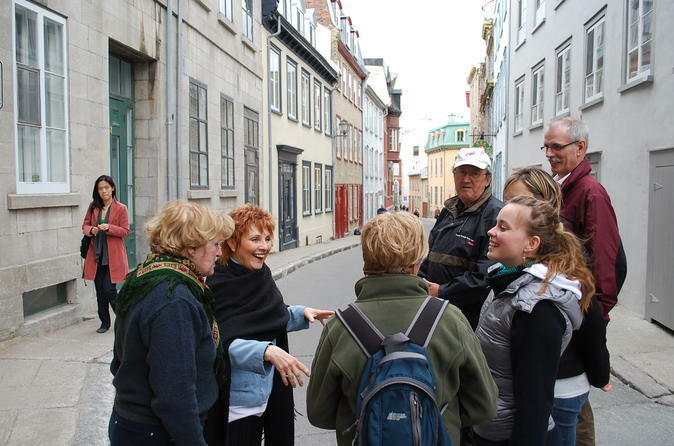 This leisurely paced, downhill walking tour is ideal for all visitors to Quebec City – families, individual travelers and small groups. 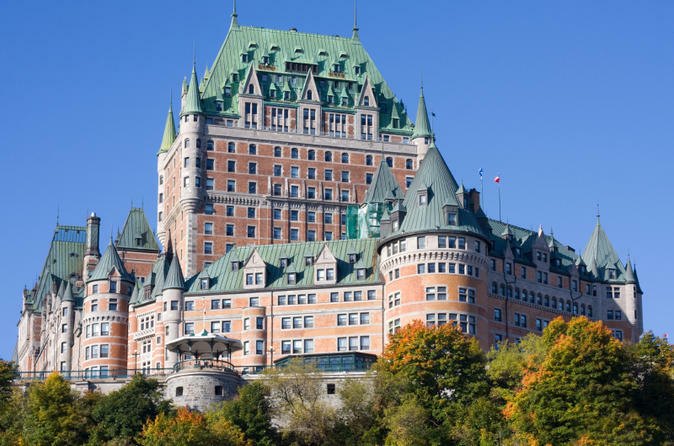 On this 1-hour guided tour, experience the history of the prestigious Château Frontenac. Discover the famous people and historical events that have shaped its identity over the years. You'll have the unique opportunity to see the architectural improvements and installations undergone in the recent years. 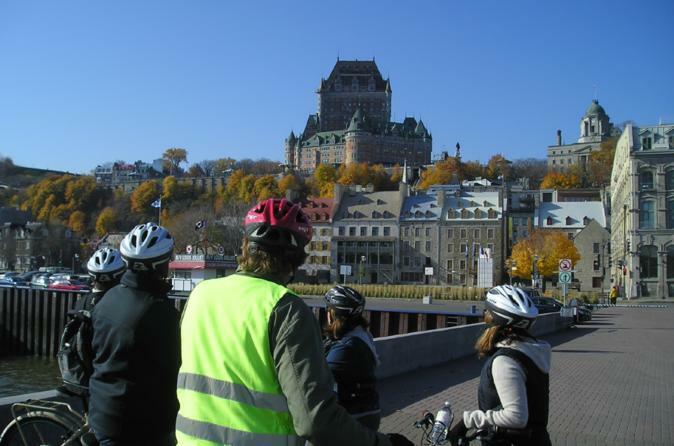 Pedal along the bike-friendly streets of Old Quebec’s Lower Town on an easy 2.5-hour guided bike tour. A knowledgeable guide steers you toward the district's fascinating historic spots, a mix of must-see highlights and off-the-beaten-track gems. You’ll learn about the area’s roots as a portside village, and see where the past and present now intersect on the same narrow cobblestone streets. Admire Quebec City from a unique vantage point on this helicopter tour! On your helicopter flight, enjoy spectacular aerial views of the city’s astounding architecture, the St Lawrence River, Cap Diamant, Château Frontenac and more. Your expert pilot will provide interesting commentary about the sights you see. 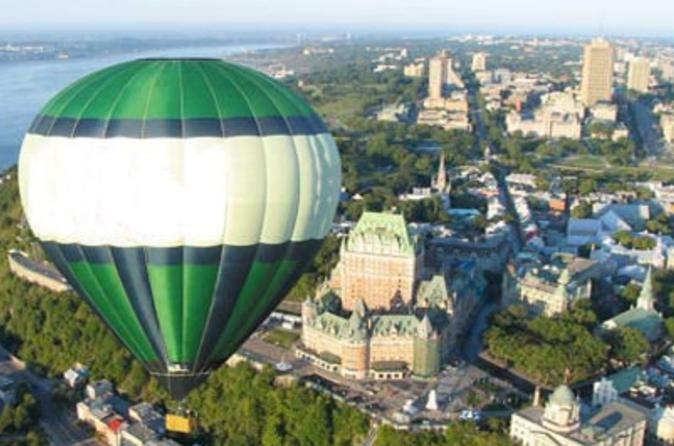 Take to the skies above Quebec City and surrounding areas in a hot air balloon to enjoy a bird's eye view of this charming and beautiful region. Take a sunrise flight to enjoy the city awaken at dawn, or choose a sunset flight for the tranquility of flying as the sun goes down. While in port in Quebec City, explore the city's charming sites by foot on this 2.5-hour private shore excursion. Walk to Place d’Hôtel de Ville, City Hall, Place Royale, the famous Chateau Frontenac hotel and more. You can customize the tour to your interests, and your knowledgable local guide will provide interesting and informative commentary on the place you see. 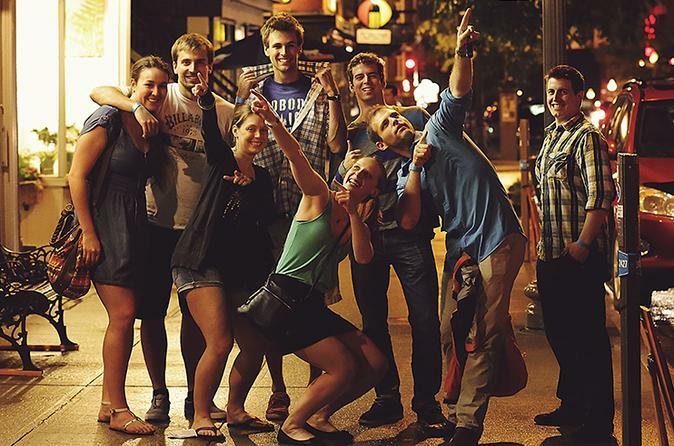 Every Friday and Saturday night, Quebec Pub Crawl gathers people from around the world to experience the nightlife of "the oldest" and only fortified city in North America. Travel by foot from bar to bar while making new friends and partying with people from around the globe. This event includes 3 bars, 1 club in Old Quebec, a bilingual guide, and free drinks and entrance all the time! 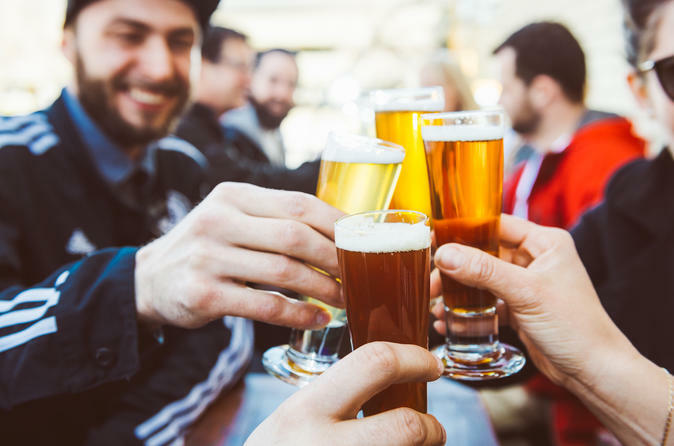 Do you want to sample a variety of beers from some of Quebec City's best craft breweries? With exclusive access to the brewing facilities, ask your expert guide about the city's rich beer history. These personalized excursions through the St-Roch neighborhood are sure to leave you with great impressions and unforgettable memories. 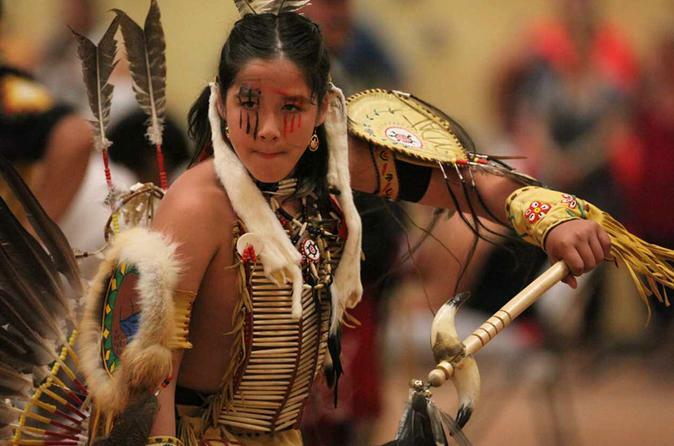 Cycling on the oldest bike path in the region, you'll head northbound for an easy 7.5 mile (12.5 km) ride to the native village of Wendake - home of the Hurons Wendat nation. Visiting a traditional huron site as a unique opportunity to discover the history, the culture and the lifestyle of Hurons of the past and of today. On our way we will stop several times to look at the skyline of the city, talk about history and architecture. For the ancestors of present-day Quebecers, the ice canoe was a means of transportation between the shores of Quebec City and Levis during the winter months. No other place on our planet has a river of this size where the climate allows for solid ice slabs to cover the water surface and float with the ever-changing currents. 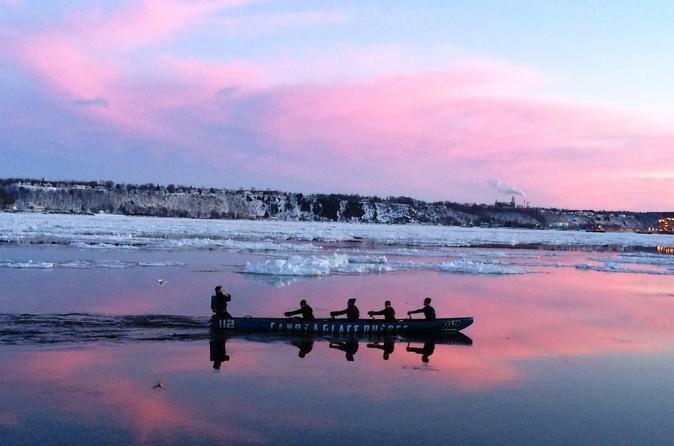 As part of the ice canoe excursion, you will be able to row the waters of the St. Lawrence River and jog along the canoe over the crackling ice beneath your feet; all in the middle of the fantastic winter. You will have the impression of being on a giant treadmill while striding in front of a city boasting 400 years’ of history. 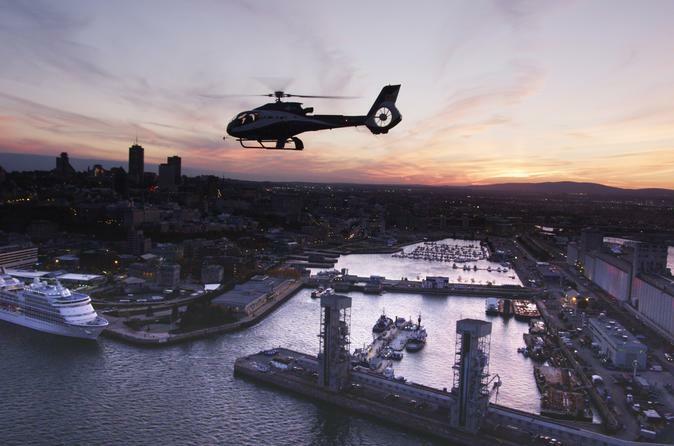 While in port in Quebec City, experience the city from a unique vantage point on this amazing helicopter tour! On your helicopter flight, admire spectacular aerial views of the city’s astounding architecture, the St Lawrence River, Cap Diamant, Château Frontenac and more. Your experienced pilot will provide interesting commentary about the sights you see. 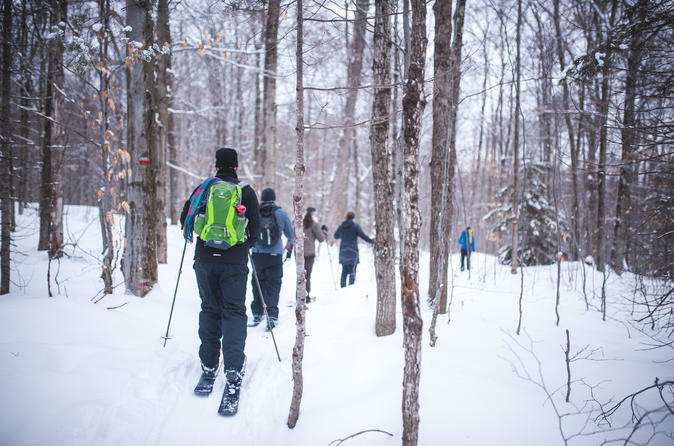 Explore the winter trails of Station Duchesnay National Park on a ski-shoeing hike, a mix between cross-country skiing and snowshoeing, for a memorable experience in this wilderness. With easy-to-follow techniques and ski-shoe gear provided, this 4-hour tour is suitable for beginners and experts alike. You’ll learn about Quebec forest from your experienced guide and you'll capture great photos of the winter landscape. Bring your sense of adventure and see what the summer crowds are missing. 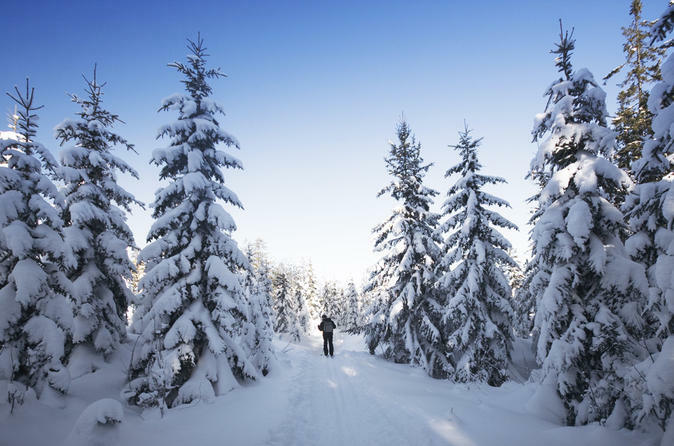 Explore the winter trails of Massif du Sud Regional Park on a nordic backcountry ski for a memorable experience in the wilderness! With easy-to-follow techniques and ski gear provided, this 4-hour tour is suitable for beginners and experts alike. You’ll learn about Quebec forest from your experienced guide and you'll capture great photos of the winter landscape. Bring your sense of adventure and see what the summer crowds are missing!